On December of 2013, the Department of Natural Resources announced that they would honor The Big 400 with a Partners in Conservation Award. Partners in Conservation awards are bestowed upon organizations or individuals who have been nominated by DNR staff in recognition of their outstanding contributions to natural resources in Michigan. 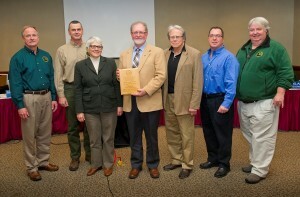 The award was announced in Lansing Michigan at the Natural Resources Commission. The Big 400-DNR partnership was strengthened during the 2013 Mill Lake Clean-Up in Chelsea.